Alexis Sanchez was not involved in a dressing-room bust-up in the wake of Arsenal's humiliation at Bayern Munich, Arsene Wenger has revealed, but flew to Spain on his day off to appear before a judge in Barcelona over tax offences. The Chilean international, one of Wenger's leading lights but a player whose future is in just as much doubt as that of his manager, was photographed at an airport yesterday and Goal.com had reported - erroneously - that the forward had flown to Italy. While the relevant tweet has since been deleted, the story is still online. Wenger confirmed that Sanchez had used his day off to answer tax charges in Spain, where he is understood to have admitted to a €1million defrauding of Spanish tax authorities - a matter usually settled by paying back the entire sum plus interest and a fine. The charges relate to the tax year 2012/13 while Sanchez was playing for FC Barcelona. "He has a court case in Barcelona," Wenger said. "He will be back in training tomorrow." The 28-year-old was, according to The Sun, at the centre of a row in the Arsenal changing room after their 5-1 humiliation by Bayern Munich on Wednesday night. But Wenger denied such a bust-up occurred, albeit unconvincingly. "No," Wenger said after a significant pause. "Not at all. "Everybody was deeply disappointed but there was no incident in the dressing room." Wenger has been facing increasing calls to announce his impending departure from the club in the light of Arsenal’s dismal performance in Munich on Wednesday night. 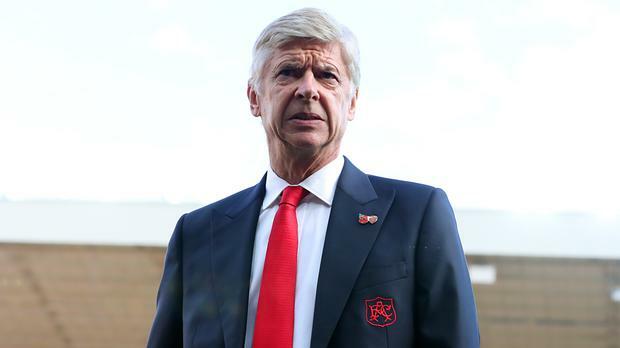 Wenger’s contract runs out at the end of the season and the Frenchman says he will decide his future shortly. “I will decide my future in March or April,” he said, clarifying remarks he had earlier made on German television. “I don’t know which one. I do not know the board’s opinion on my future, it is not one of my priorities. The team is what is important. “I certainly do not feel that I have had enough. Whatever happens I will continue managing next season, whether it is here or somewhere else. The Bayern Munich result was difficult to take but I have the strength and experience to handle it. “Even if I go Arsenal will not win every single match in the future. It hurts to lose games, but Arsenal’s European record has improved since I started here. Wenger also claimed that he his not offered by the growing speculation over his future or feeling under additional pressure because of it. Instead, he claimed, he has the experience to ensure Arsenal finish the season strongly. “I’m not offended by things I read,” he added. “I’m used to it having been here for 20 years. Everything is judgement and in this job I have to accept that. I have to behave with my values and accept that everybody is entitled to an opinion."